Swimming pool pumps come in many sizes and shapes. Some are big, some are small, but the most common pumps are three horsepower or less and have two threaded connections at the piping system, where the water is drawn in and then pushed out. This is where leaks can occur. When properly identified and repaired, further damage will be prevented, saving money on repair bills, equipment replacement, and down time. There are three types of leaks that can commonly occur at the pump piping connections and the motor connection. The suction side is under a vacuum. If it is on the suction side, or where the water comes into the pump, it is an air leak. Air is being drawn into the closed system when operating. The discharge side is under pressure. If it is on the discharge side, or where the water is pushed out, it is a water leak, probably a drip to start. Water is allowed out of the closed system when operating. And lastly, a leak can occur where the electric motor attaches to the pump; this is usually a problem with the shaft seal. This seal prevents water from escaping the system at the shaft that turns the impeller and isolates the wet components of the pump from the dry electric motor. The pump seems to struggle moving water at start up. The power is on but nothing happens. The pump needs to be refilled with water and restarted more than usual to get going. Regular flow rate is lower because of the air infiltration at the pump. Filter tank pressure is lower. The pool needs to be vacuumed more often. You can see air movement in the strainer, if you have a clear lid. The pipe may be able to be wiggled, or it feels loose. 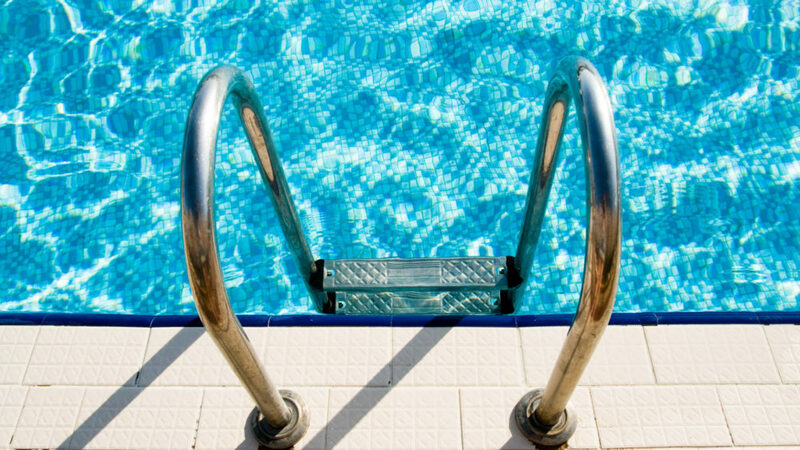 You may see small air bubbles coming back underwater into the pool at the clean water return fittings. Water drips/sprays at the pipe connection to the pump. You may see a puddle of water at the floor under the pump or running down the side of the pump. Water loss in your pool. 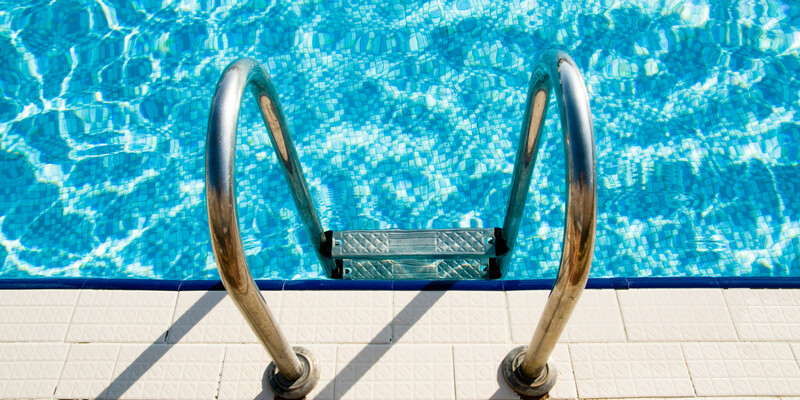 Undetected and ignored, a pump discharge fitting can dislodge itself from the pump, creating spray out, or even empty out the pool water, potentially creating damage to the surrounding equipment and the pump itself. Water damage to the surrounding areas. You may see a puddle of water at the floor under the center of the pump below the pump motor connection point. Water damage to the surrounding area. Excessive or unusual noise coming from the motor, which may be indicative of a bearing motor problem. Undetected and/or ignored, a shaft seal leak can potentially create further damage to the pump itself and could necessitate replacement of the pump or motor components. If you have a wet floor or other pump problems as described above, something needs to be fixed. Proper and ongoing maintenance of your pool motor is inevitable. But properly maintained, today’s modern pumps can give you years of service and an enjoyable swimming pool experience. Make sure your pool professional is conducting a thorough inspection of the filter system at start up. If there is no mention of leaks, then ask. This will help insure that the minor repairs are addressed before any further equipment damage occurs and unexpected down time occurs.